ASUS' Lyra Voice smart speaker-router hybrid, previously shown off at this year's CES in Las Vegas, has been confirmed for the Australian market. No word yet on exact pricing or availability as of yet. However, speaking to PC World at this year's Computex, an ASUS spokesperson indicated that the AC2200 Tri-Band Mesh WiFi Router would be coming to the Australian market later in the year. 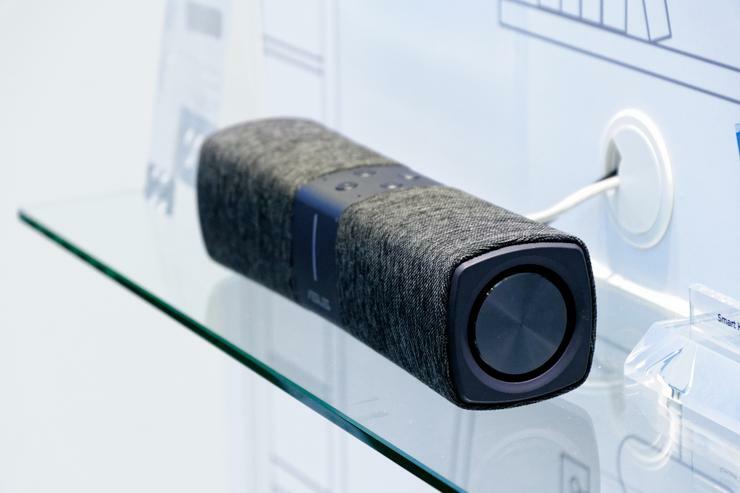 When it does arrive, the Lyra Voice will come with built-in Amazon Alexa, AI Protection network security powered by Trend Micro and two 8W Stereo Speakers. Essentially, the idea here is to have a stylish mesh Wi-Fi setup that also doubles as an Amazon Echo. It's a tantalizingly elegant concept, but unknown whether or not the product will hold up in practice or end if we'll have a jack-of-all-trades-master-of-none type-situation on our hands. Stay tuned for more info as it arrives.